Want to own your own unmanned aerial vehicle, or drone? These days, in many parts of the world, you can go down to your local department store and buy one. But you may need permission before you can pilot your drone into the skies. In the US, you need a license if you want to fly a drone that weighs more than 0.55 pounds. That means registering your little vehicle with the Federal Aviation Administration. Here’s how you can get your FAA drone license as quickly as possible. 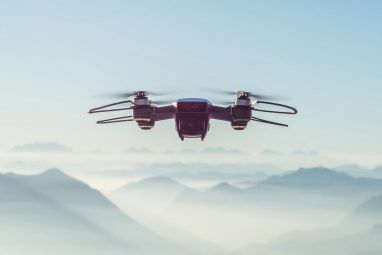 Title 14 of the Code of Federal Regulations, the section related to Aeronautics and Space, contains the US federal government’s rules regarding the use of drones. This section is commonly referred to as the Federal Aviation Regulations. When you see mentions of “sections” or “parts,” this is the document to keep in mind. You can handle the process of getting an FAA drone entirely online, but the requirements differ depending on how you intend to use your drone. Is this a hobby? Are you part of an organization? Are you flying on behalf of your local government? Recreational Fliers and Modeler Community-Based Organizations. Certificated Remote Pilots including Commercial Operators. Public Safety & Government Users. If you bought a drone from the store and want to fly it in your backyard, then you’re a recreational flier. Let’s tackle that use case first. Head over to FAADroneZone and hit the register button next to “Fly Model Aircraft under Section 336.” This drone pilot license costs $5 and is valid for three years. You won’t receive a physical license of any sort. Instead, mark your drone with the registration number provided. This way authorities can get your vehicle back to you if it’s lost or stolen. You must be at least 13 years old to register. If you are under 13, an adult must register in your place. Fly only for fun or recreation. Follow the safety guidelines of a model aircraft community-based organization. Fly at or below 400 feet when in uncontrolled airspace (Class G). 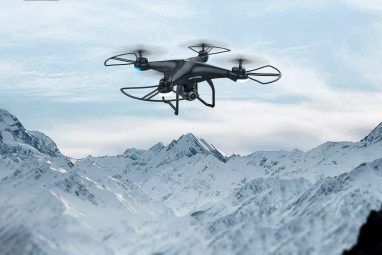 Some activities require a Part 107 waiver, such as flying a drone at night, flying a drone outside of your line of sight, and flying multiple drones at once. Before discussing the waiver, let’s first dive into Part 107. If you want to become a certified remote pilot, then you will need to learn Part 107 rules and guidelines. You will need certification in order to use your drone as part of your business or other commercial work. 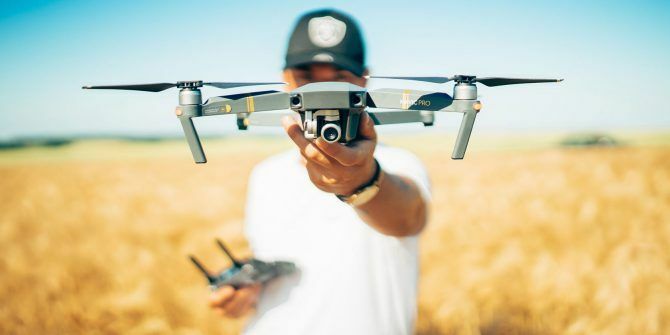 A remote pilot certification (which functions as your commercial drone license) demonstrates that you understand the regulations, operating requirements, and procedures to safely fly a drone. The FAA has issued a PDF that goes into specific details of the rules and expectations. You can obtain certification by passing a knowledge test. To take the test, you must be at least 16 years old, able to communicate in English, and be in a physical and mental condition to safely fly a drone. Again, the drone license costs $5 and is valid for three years. Schedule an appointment at a Knowledge Test Center. Complete the online FAA Form 8710-13 for a remote pilot certificate using the Integrated Airman Certificate and/or Rating Application (IACRA) system. After you clear a TSA background check, you will receive email instructions on how to print a temporary remote pilot certificate via IACRA. Your actual certificate will arrive later in the mail. Have this available whenever you fly a drone. The FAA website lays out the full process in detail. If you want to fly on behalf of a public sector organization or in an educational environment, the steps may differ, but you will likely still need remote pilot certification. The FAA drone pilot licenses above, whether flying as a hobby or professionally, come with the same limitations. Your drone must way less than 55 pounds, you can’t fly faster than 100 mph, and you must keep your drone within 400 feet of the ground or a building. As mentioned before, you must also fly in the daylight (from 30 minutes before official sunrise to 30 minutes after official sunset). If you need to do any of these things, you can apply for a Part 107 waiver. You can apply via FAADroidZone, but you will need additional documentation. Part of the process involves explaining how you intend to use your drone. Find a full breakdown of what you may need on the FAA’s website. One thing to keep in mind: The FAA publishes all waivers online. The information provided includes your name and address (you’re not allowed to register using a PO box). That means if someone knows you have a drone license, they can find out where you live. This is probably not the way you expected a drone to infringe on your privacy 8 Ways to Prevent Drones Infringing on Your Privacy 8 Ways to Prevent Drones Infringing on Your Privacy Drones pose a serious risk to security and privacy, but fortunately, various methods of protection - from birds of prey to lasers - are being developed right now. Let's take a look at them. Read More . Now that you know how to get an FAA drone license, commercial or otherwise, there’s another question to address. Do you already own a drone? If you do, does it meet your expectations? There are many consumer drones out there, and knowing which model to pick can be a challenge. 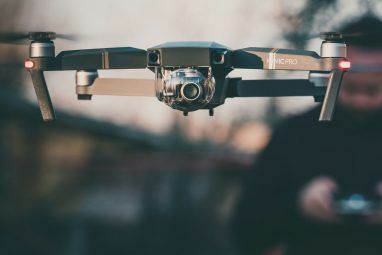 Here’s a look at some of the best drones on the market The Best Drones for All Budgets The Best Drones for All Budgets What are the best drones? We covered quadcopters for the poor, rich, and everyone in-between. Whether you want a flying selfie machine or cheap cutting-edge toy, we've got you covered. Read More . Explore more about: Drone License, Drone Technology, FAA. HDMI 2.1 Supports 8K Video: Do You?